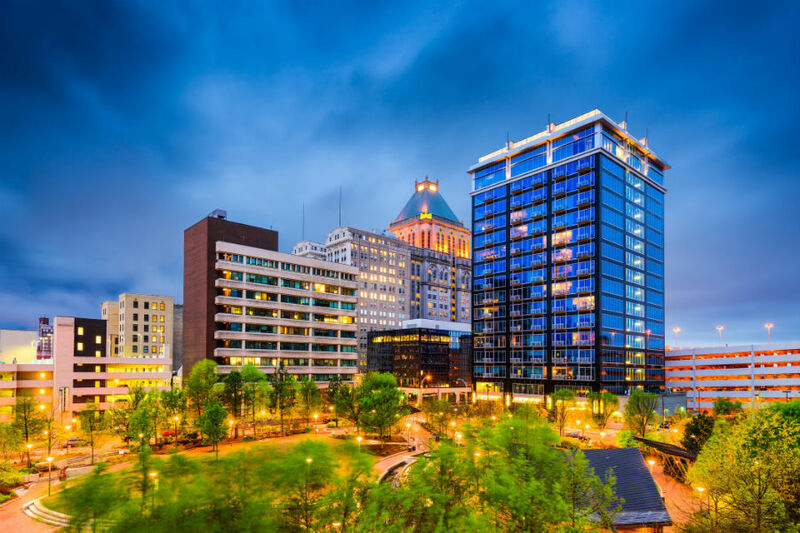 Whether you’re considering a move to the Greensboro area or have already taken the plunge, the first thing you’ll notice is the city’s beautiful climate and day-to-day weather. The South is known for heat and humidity, producing sweltering summers and nonexistent winters. Greensboro, however, sports a unique climate that offers four blissful seasons and plenty of precipitation all year long. Spring and summer bring about gorgeously sunny weather and occasional spectacular storms. With an average high of 60 to 78 degrees Fahrenheit in spring, Greensboro is perfect for springtime nature enthusiasts. From gardening to camping, this pleasantly warm weather allows for a full six months of outdoor play with no danger of late spring snowstorms or cold snaps as in other parts of the country. April showers really do bring May flowers in Greensboro. Throughout March, April and May, the average rainfall amounts to almost four inches per month, promoting the growth of gorgeous spring flora. Summer in Greensboro comes in at a balmy 85-degree average, perfect for road trips and camping vacations. Little known amongst out-of-state vacationers, North Carolina offers some of the East Coast’s most luxurious beaches, giving every Greensboro resident, even more reason to get out and about during the warm summers. The fall and winter months in Greensboro cool off significantly, even allowing for the occasional snow day. Beginning in September, the average temperature drops to a high of 80 degrees and continues to slide downward as fall takes the stage. By November, the highs only reach about 60 degrees Fahrenheit and the lows can level out at 40 degrees. In such a forested area, these cooler temperatures mean you’ll experience plenty of gorgeous autumn color all the way through December. Winter swoops in with a cool snap and the potential for a little snow. Though it’s unlikely you’ll experience blankets of snow for the holidays, January and February retain the potential for a light dusting of powder. December’s highs can hit up to 50 degrees with lows just below freezing. January is the coldest month of the year on average. December and January both typically produce just over three inches of precipitation per month, while February is the driest month of the year at an average of just under three inches. Although the temperatures are typically too warm for regular snowfall, snow lovers can rest easy knowing Greensboro receives about six inches of snow a year. Greensboro continues to grow in size every day due to the attractive and comfortable climate. Though it can be a wet city, the lack of snow to shovel brings residents in from the north while the comfortable temperatures attract migrants from the south, making it the perfect place to make your new home. Having a well-maintained HVAC unit in your new home can do wonders for the occasional warm or cold front, ensuring you experience blissful temperatures all year long. Don’t leave your all-important air conditioning unit in the hands of just anyone. Kay Heating and Air employs highly trained, courteous technicians who are ready and willing to answer any questions you may have before, during and after your service. Contact us online or call 336-274-6323 to schedule your service today!